Outstanding players pose with DoS Christopher Jones, GVF President John Flores, BVA President Levi Nedd and Chairman of the proceedings Linden Murray. The Berbice Volleyball Association (BVA) had an extremely good year during 2016. 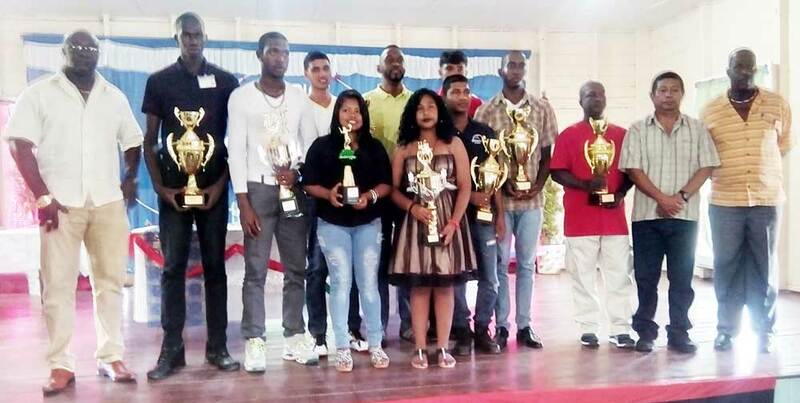 That was the sentiment of those gathered when the BVA held their first ever awards and presentation ceremony yesterday at the Port Mourant Community Center. Giving the review of the association performance during the foregoing period was President Levi Nedd. Nedd who took charge of the body in 2016 gave a detailed review of the Association and its performance to a responsive audience in which he estimated that The BVA achieved about 90 percent of its set target. Among those in attendance were Director of Sports Christopher Jones and President of the Guyana Volleyball Federation (GVF) John Flores. Nedd in his address expressed his thanks and appreciation of being given the opportunity to lead the body. The year 2016 saw the BVA successfully convening elections for office bearers. The aim and objective was to revive the game in the Ancient County by targeting male, female and youths, with the emphasis more on the females, beach volleyball, education and training. For 2016 some 31 teams registered with the BVA in all categories -senior male, female and junior male. During the year the BVA and teams within the BVA participated in a number of competitions both locally and on the international scene. The year began with the -Aswell Mohair tournament at Blairmont, an outreach to Orealla, a suicide prevention tour to Siparuta, an outreach to Black Bush, the playing off of the D’Edward Three Doors Strikers open tournament, the BVA Volleyball Extravaganza which saw 222 players from throughout Berbice participating . The Corriverton Jets and Fyrish Clubs open tournament, a Mashramani Open tournament, an all 4’s- tournament sponsored by Berbice Chamber of Commerce at Blairmont, a female tournament at Line Path and Two junior tournaments at D’Edward, West Bank Berbice. Among the overseas ventures undertaken was the U19 tour to Trinidad to participate in the Flow senior tournament, a number of goodwill tournaments to Suriname by the senior team, female and U19 male teams. The BVA senior male team toured Boa Vista in Brazil, while the U19 male team successful participation in the Inter Guiana Games competition against Suriname in Guyana. The BVA also successfully organised referees and coaches seminars as well as sessions for teachers and club officials. Senior male and female teams were shortlisted while teams participated in the Trade wind Tankers tournament. Nedd in his speech highlighted a number of hindrances, which he feels can be overcome and propel Guyana to further heights in the sport. Nedd mentioned sponsorship. Players need something to look forward to, based on the enormous sacrifice that they make to keep the ball flying. As such overseas tours for participation and to have players experiencing the outside arena are organised and funding is realised by petty sponsorship. Most of all players have to go into their pockets. Much more can be done so as to enhance the sport, He urged. Upgraded facilities and training time are also key. “Most training sessions are being done in the afternoon period. Coupled with the fact that many players are employed and work shift, thus hindering the time they have to train. It also hinders the cohesiveness in them training together. To experience effective training it is incumbent upon us to have lighted facilities so that maximum training time can be realized,” Nedd noted. Team preparations for international ventures are inhibited by late selection of teams. 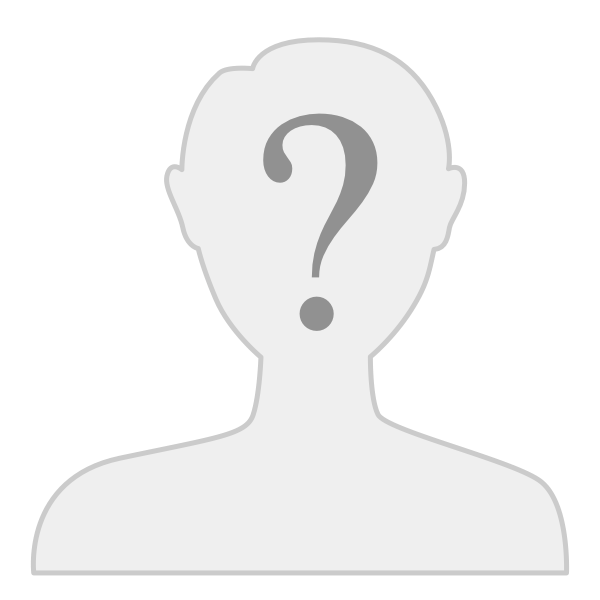 He is advising that a pool of players be kept in training in all categories. The U19 team received special mention for retaining the IGG volleyball title against Suriname. “It must be noted that due to our stringent junior training programme in Berbice we have players available to participate in the IGG as far as 2021,” he stated. Special mention were made of The National Sports Commission, Businessman Balram Shane of Rose Hall Town, Guysuco, The PMTC Alumni – USA Chapter, The Guysuco Training Centre, The Guyana Volleyball Federation , Spready’s Bakery and Snackette , St Francis Developers; Poonai’s Pharmacy Of Rose Hall Town, A. Ally & Sons, M and M of Demerara and Mr. Gregory Rambarran of DTV Channel 8. Nedd said that without a doubt the BVA is the leading association in the country and the mecca for volleyball in Guyana over the years.